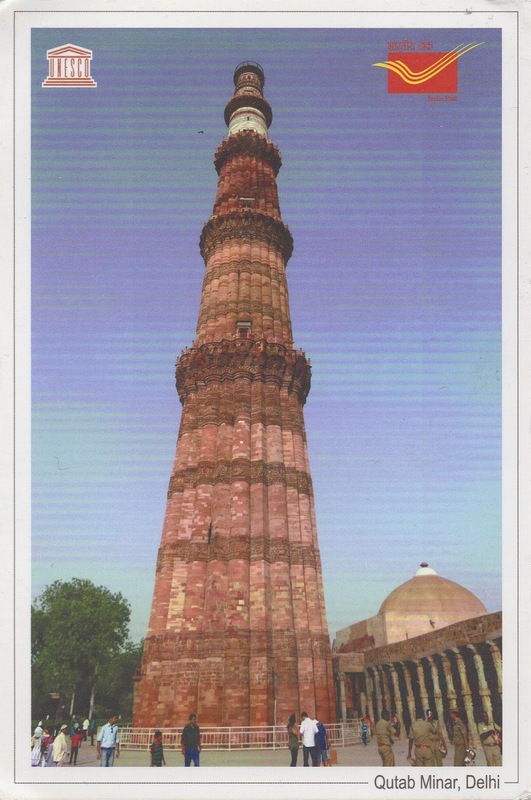 Qutub Minar is a minaret that forms part of the Qutb complex, a UNESCO World Heritage Site in the Mehrauli area of Delhi, India. 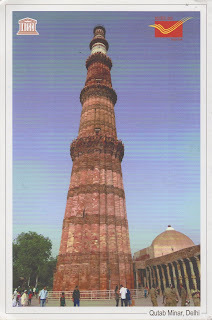 Qutub Minar is a 73-metre (239 feet) tall tapering tower of five storeys, with a 14.3 metre (47 feet) base diameter, reducing to 2.7 metres (9 feet) at the peak. It contains a spiral staircase of 379 steps. Its design is thought to have been based on the Minaret of Jam, in western Afghanistan. The iron pillar of Delhi is a 7 m (23 ft) kirti stambha (column of fame or victory column), originally erected and dedicated as dhvaja (banner) to Hindu deity lord Vishnu in 3rd to 4th century CE by king Chandra, currently standing in the Qutb complex at Mehrauli in Delhi, India. 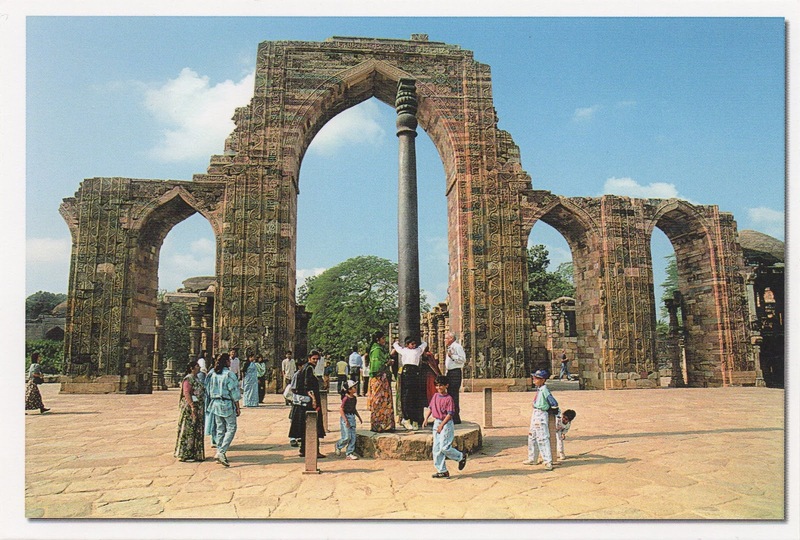 The pillar has attracted the attention of archaeologists and materials scientists because of its high resistance to corrosion and has been called a "testimony to the high level of skill achieved by the ancient Indian iron smiths in the extraction and processing of iron." The corrosion resistance results from an even layer of crystalline iron hydrogen phosphate hydrate forming on the high-phosphorus-content iron, which serves to protect it from the effects of the Delhi climate.